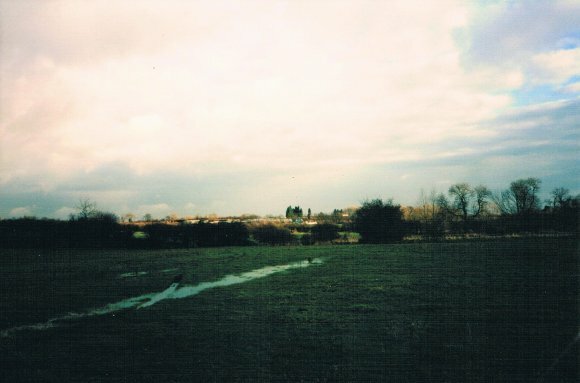 This field is part of Fields Farm. 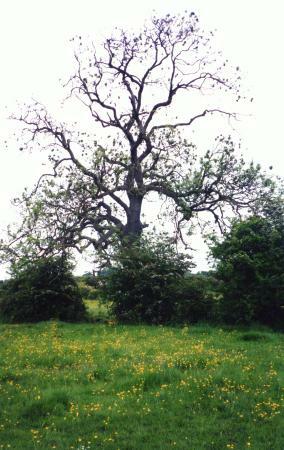 It is the most wonderful area for wildlife in Rothley. 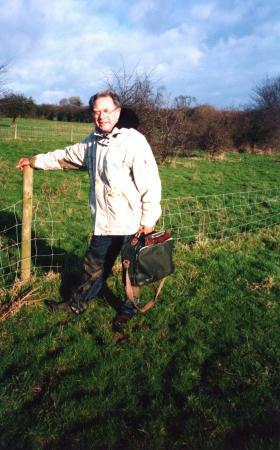 As the name suggests, it is rather boggy and when out on an earlier visit Brian Verity was not very good at 'walking on the tufts' and his wellies were lost for ever in the mud. Not the first pair, it seems, to have met a sticky grave. However, mud means good things for wildlife and this area is vital if we are to retain House Martins in the village. 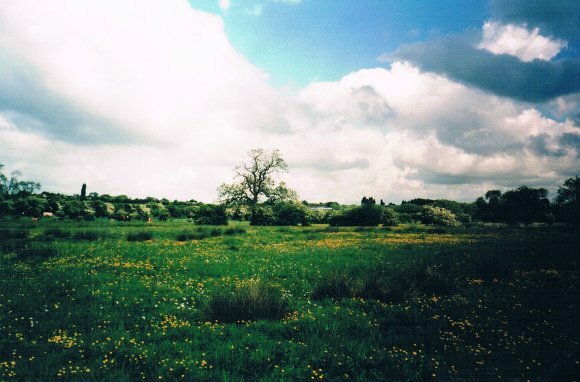 The 14th May 2003 was a beautiful day and the field was full of buttercups and Lady's smock. A survey had been done on the 5th July 1995 under reference W5813/2 but needs to be updated. 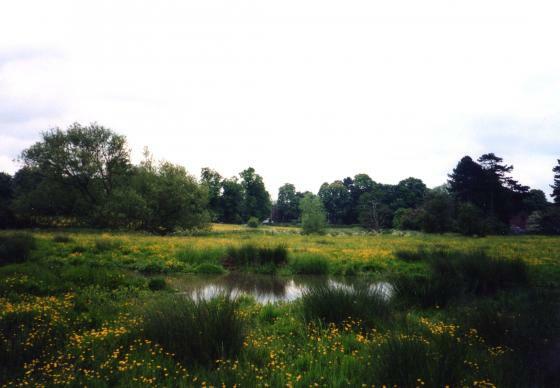 The water in this field continuously runs from the pond area detailed in Site 148 The Willows down to the Rothley Brook so the area is always boggy and has to be approached with great care. Cattle were in the field at the time of our visit and as they had young it was sensible to withdraw and arrange a further visit. In the main area of water in the middle of the field were Swallows and House Martins collecting mud for their nests. House Martins have always nested in Rothley, particularly in Fowke Street, and this mud is essential for their future in the village. Here, and scattered over a large area of this field, is Ragged Robin, the best site for this plant that I have found in the parish. There were also good clumps of Marsh Marigold. Walking by the side of Rothley Brook a Kingfisher was seen twice and there are possible nesting sites along this part of the bank which is away from human disturbance. Also seen were Mallard, Swan and Grey Heron. 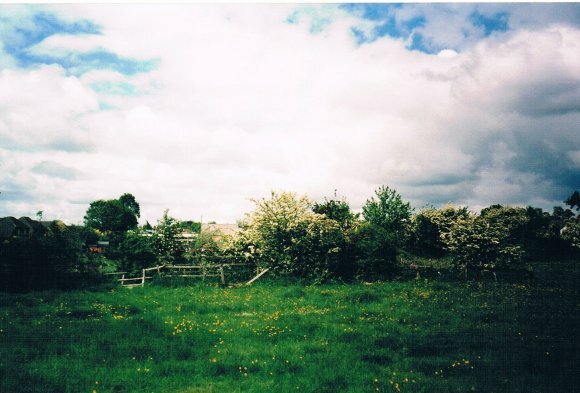 A peaceful part of Rothley and not suitable for human access due to the treacherous nature of the ground. Brilliant, though, for wildlife. A very hot day. Lesley Walton joined me for a survey of the vegetation as it needed to be done at a different time from the one in July 1995 to get another picture of the plants. 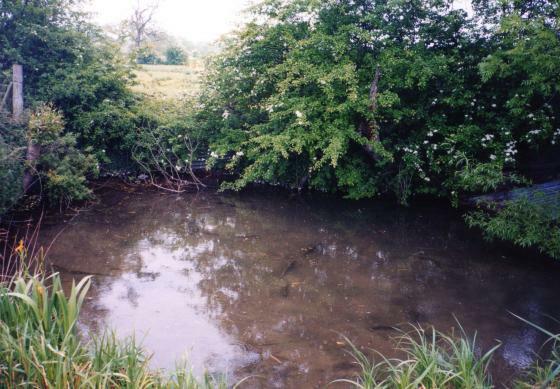 A full list of species found at this site is shown on the link below. On the water in the centre of the field was a Mallard with ducklings, Moorhen Swallows and House Martins. Banded Demoiselles were plentiful along the Rothley Brook. A very hot afternoon for a further visit to continue recording the wildlife. 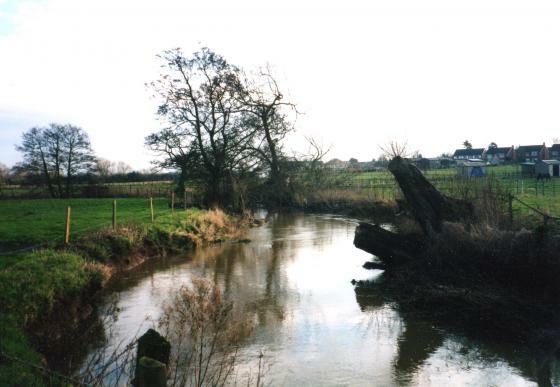 The margins of Rothley Brook have still to be explored. August has been an extremely hot month. On this day I met up with Chris Hill from the Leicestershire and Rutland Wildlife Trust and we saw 4 Snipe in the boggy area, which is great news. Chris said that it looked a very interesting site and would arrange for a colleague to carry out a survey of plant species. Someone had been fishing in the brook and a float was removed that had got tangled in the vegetation. I returned later in the day and counted 5 Snipe in the boggy area. There were also Mallard and Moorhens. A return visit with Lesley to see what we could add to the list of plants. We checked the boggy area and found 5 Snipe. We then concentrated on the margins of Rothley Brook and found a good area of Water Chickweed, a plant new to both of us. Even after this long period of drought this field is still holding water and it would be interesting to check out the flow of water as this must be protected to ensure that this habitat remains a marsh. We counted up to 16 Mallards and there were young Moorhens in the damp areas. Swallows and House Martins were swooping over the field and it was encouraging to see them in such good numbers. It confirms this area to be vital for these birds which are highly threatened by habitat loss. After today, the plant list stands at 60 species and this includes some interesting finds. We still have half the field to survey so need to access the boggy area and beyond. 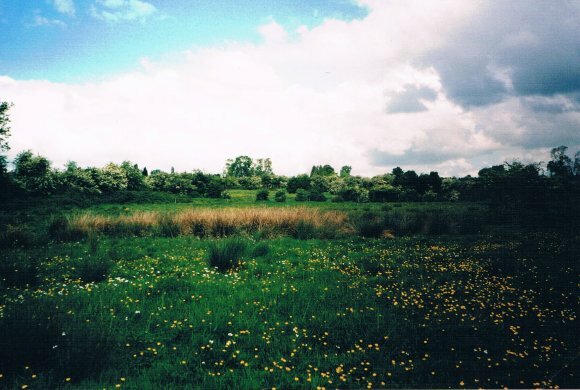 I met Neill Talbot, Conservation Officer of the Leicestershire and Rutland Wildlife Trust, at the site so that he could see if it was eligible to be designated a Site of Interest for Nature Conservation (SINC). The tenant farmer, Rodney Clarke, was there mending the fences so it was good to talk to him about the potential for wildlife in this field. 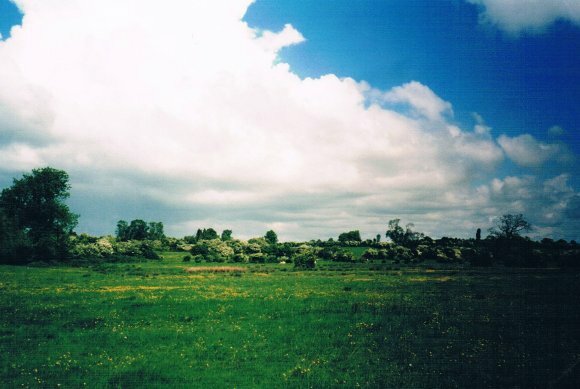 The land is owned by William Davis, Builders, so Rodney has no say in the area being made a SINC but he was very interested in what it was all about. We then walked the site and I was thrilled to see the Snipe still in the muddy area with up to 8 being present. Two were in the muddy margins of the brook. Even after all the drought this area was still wet mud with a stretch of open water. 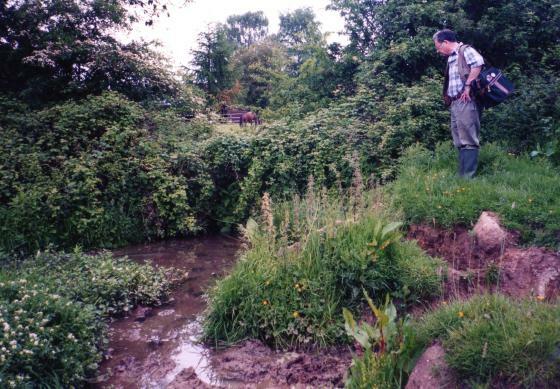 This was a site visit with Neill Talbot to detail species for the SINC criteria. It did not take long to find 10 of the required species and I will be receiving a list of all the species found today. It was interesting to see how much Celery-leaved Buttercup was in the meadow, far more than last year. 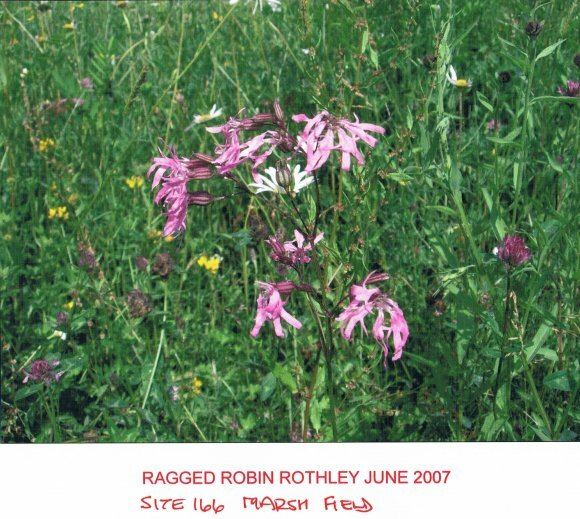 The Ragged Robin was just coming into flower and there were good stands of Marsh Marigold. There were Swallows and House Martins swooping over the site. 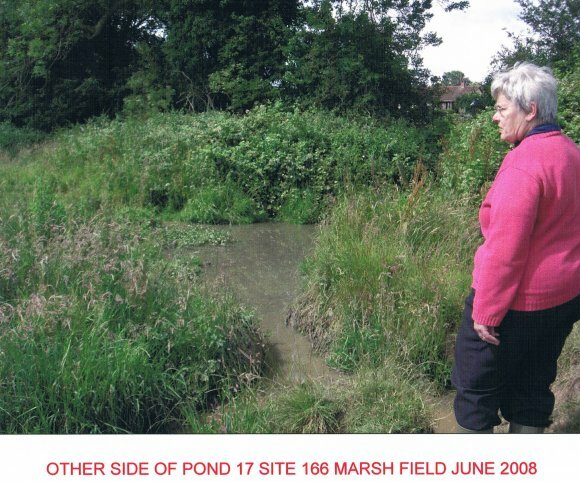 The site of a new pumping station will be in the corner of this site but will not be near the main interest of marsh so the wetland and flora should not be affected. The work has just started and will take about 12 weeks. 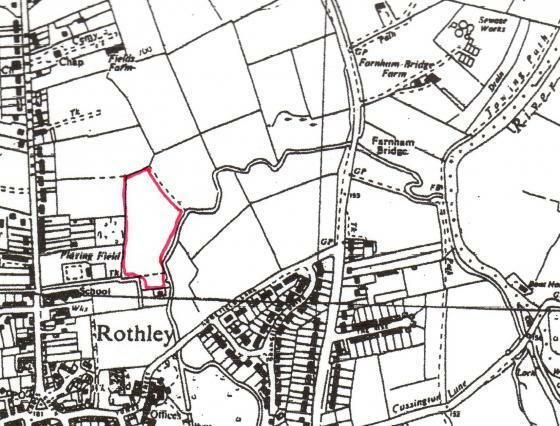 Neill is also interested in making the Rothley Brook a SINC from the point of this marsh and the old A6. It should be good for Crayfish, Bank Vole, Kingfisher nests and, possibly, Otters. Life went a bit pear-shaped for three years, hence my reason for not returning. 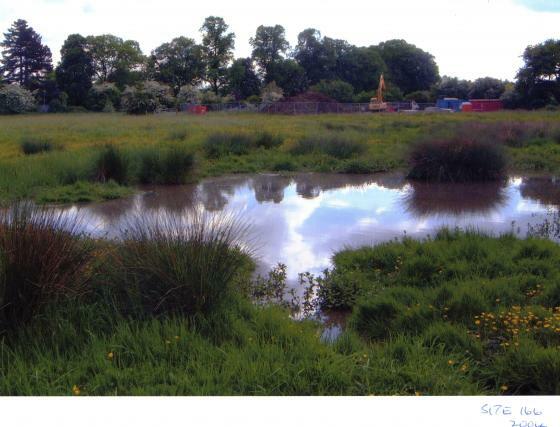 However, Neill Talbot of the Wildlife Trust asked if I could update my records as the site has still not been given Wildlife Site status (SINC). A further visit will be made but noted for today were good stands of Ragged Robin, Marsh Marigold and Lady's Smock so I can confirm these species on the final list. Another visit will be made in June. I made a further visit with Lesley Walton to update the list of plants as shown in the link below. Two plants were queried as we needed to be sure of the species. One was a Stitchwort which did not fit either the Lesser or Greater and the other a Bedstraw that we thought might be Marsh. Information sent to Neill Talbot. We met Neill Talbot at the site so that he could check out our species. It was a very interesting morning being with a plant expert. He confirmed the Stitchwort to be Bog Stitchwort and the Bedstraw to be Marsh Bedstraw. In addition, we found Marsh Willowherb, Skullcap, Gypsywort, Rushes and Grasses. The site was found to be just as good as when looked at in 2004. 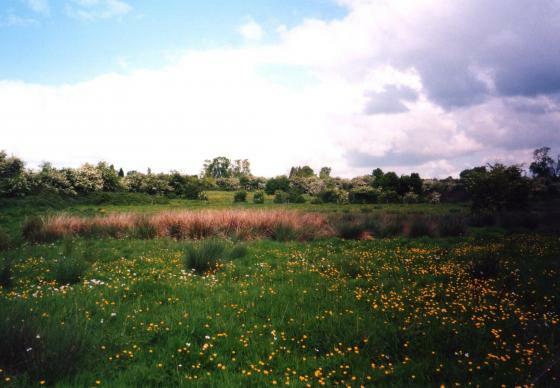 I now have to find out who to contact at William Davis, the owners of the land, to see if they would agree to it being designated a Site of Interest for Nature Conservation (SINC). After the rains of the past few days the site really is living up to its name and Lesley was the one to lose a wellie and fill the other with black, smelly mud. Neill rescued the wellie but it just goes to prove that you should not go to this site on your own. William Davis, the Loughborough builder, will not agree to the site being designated a SINC. 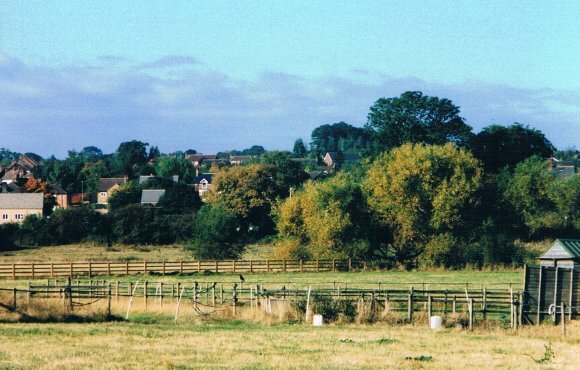 I have today written to Rothley Parish Council asking them to bear this in mind if, and when, planning permission is sought for the land collectively known as Fields Farm. 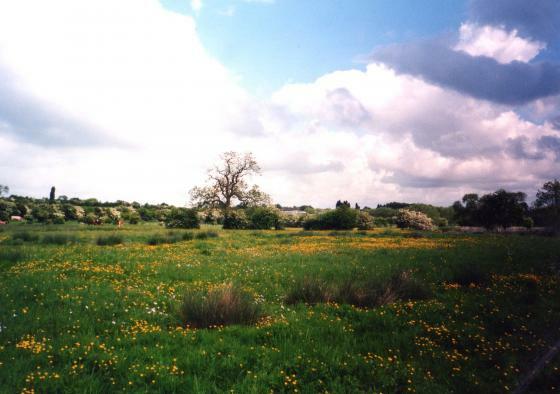 Planning Permission is about to be submitted to Charnwood Borough Council to build on most of the land of Fields Farm. 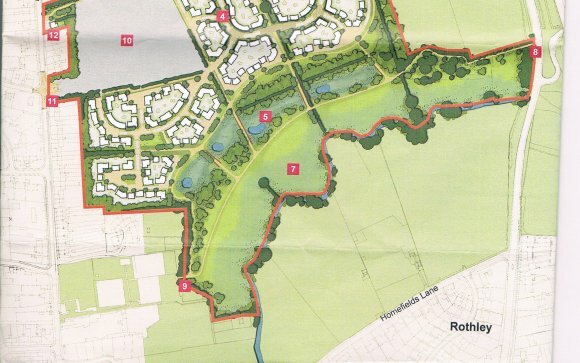 It also looks to include a public walkway around the banks of Rothley Brook. 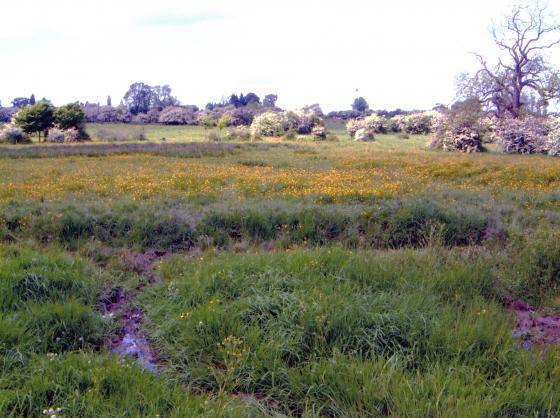 The best wildlife site in Rothley is now under threat. 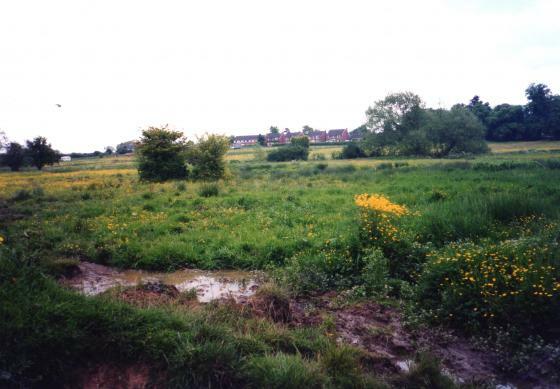 The House Martins that have nested for years in Fowke Street and around the village could also be threatened by the loss or disturbance of this Marsh Field where they have collected mud for their nests for generations. Area 8 is footpath link to River Soar corridor. No mention of a site for wildlife.